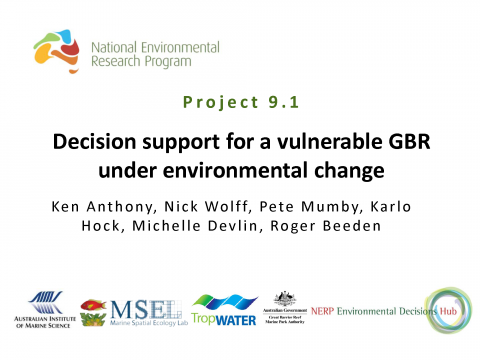 Ken Anthony (AIMS), Nick Wolff, Pete Mumby, Karlo Hock, Michelle Devlin, Roger Beeden; Decision support for a vulnerable GBR under environmental change; 5th November 2014. 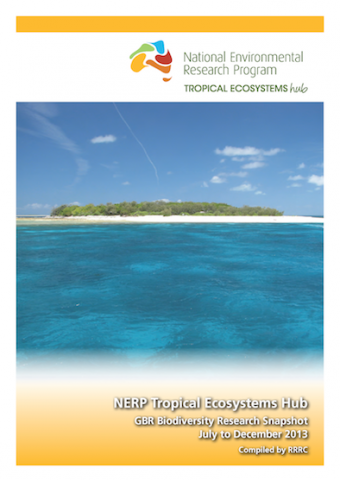 An update brochure of what's going on with the NERP Tropical Ecosystems Hub Great Barrier Reef Biodiversity projects. 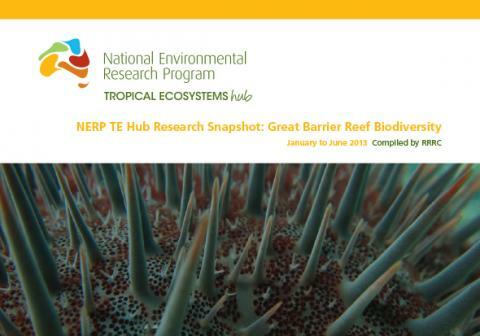 A snapshot of the research progress within the Great Barrier Reef Biodiversity node for January to June 2013. 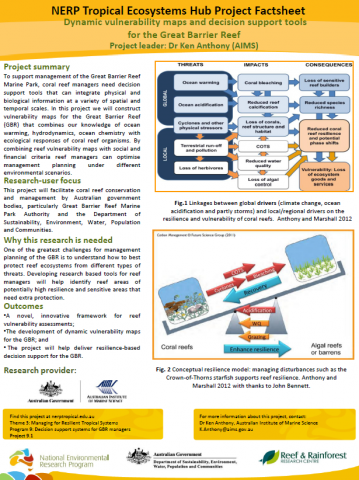 A snapshot of the research progress within the Great Barrier Reef Biodiversity node for July to December 2013. Anthony, K.R.N, Marshall, P.A., Abdulla, A., Beeden, R., Bergh, C., Black, R., Eakin, C.M., Game, E.T., Gooch, M., Graham, N.A.J, Green, A, Heron, S.F., van Hooidonk, R., Knowland, C, Mangubhai, S., Marshall, N., Maynard, J.A., McGinnity, P.A., McLeod, E., Mumby, P.J., Nyström, M., Obura, D., Oliver, J., Possingham, H.P., Pressey, R.L., Rowlands, G.P., Tamelander, J., Wachenfeld, D., Wear, S. (2014) Operationalizing resilience for adaptive coral reef management under global environmental change. 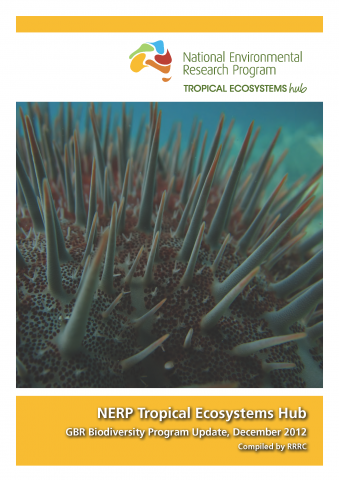 Global Change Biology. 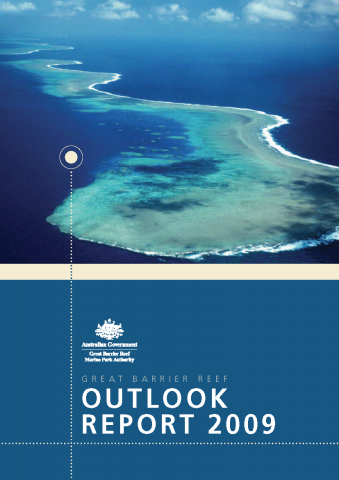 [doi: 10.1111/gcb.12700].